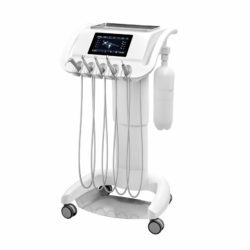 The Diplomat Adept DA280 dental unit is designed to match the standards of modern ergonomics and provide ample room for the natural movement of the dentist and assistant and to grant comfortable and smooth patient positioning. 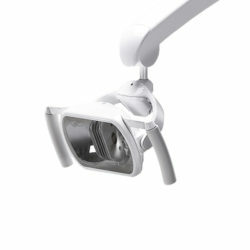 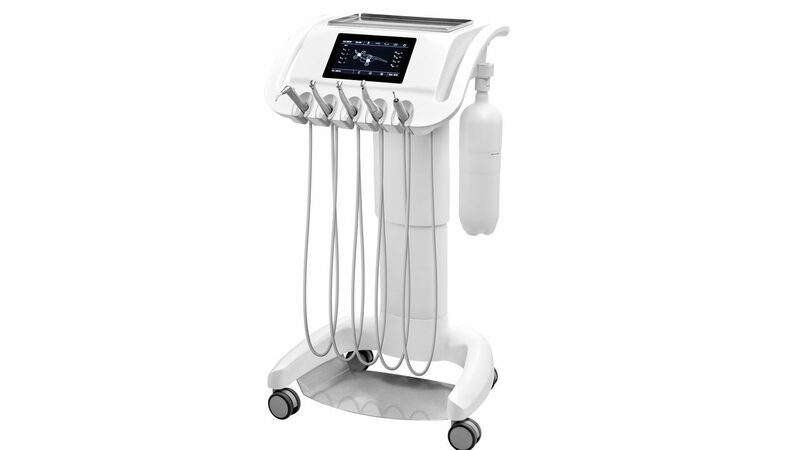 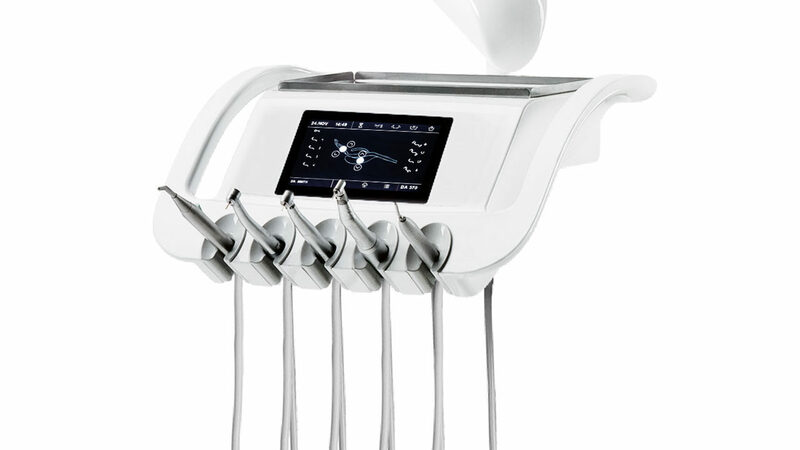 The assistant’s element can be equipped with up to five instruments with an intraoral camera as an ancillary sixth instrument. 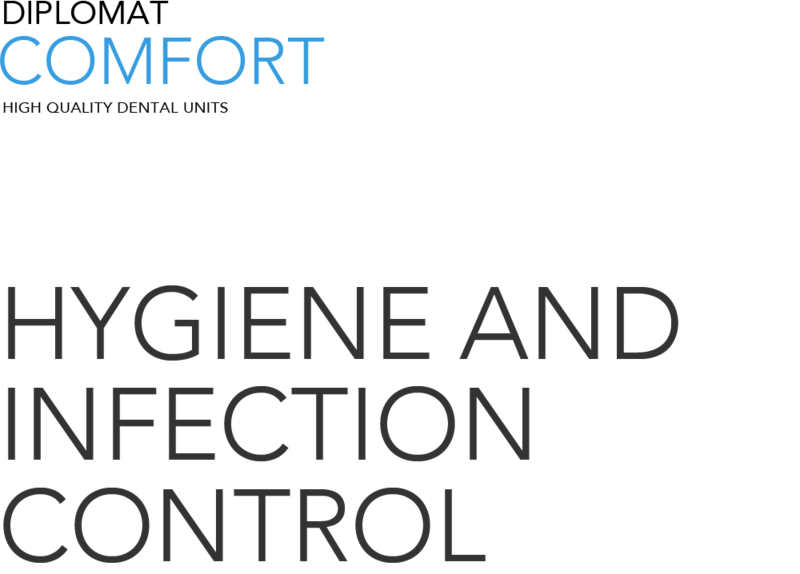 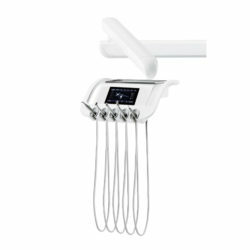 To offer even more comfort, this unit features a dentist arm with an electro pneumatic brake system and electronic control of the swiveling spittoon bowl. 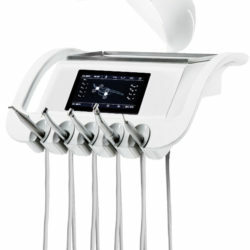 The dentist element features hose delivery system for lower instruments. 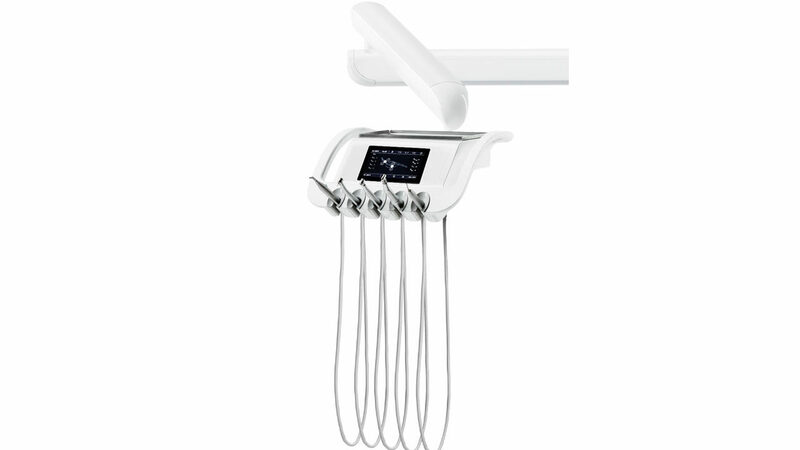 The 7-inch color resistive or capacity (optional) display enables easy navigation and control, and its slim and sleek surface can be cleaned with no effort. 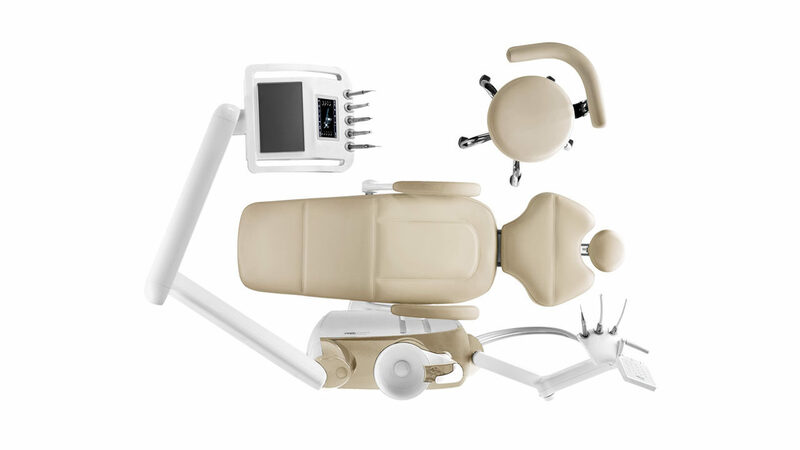 The pantographic arm can be supplied in either a standard or shortened versions. 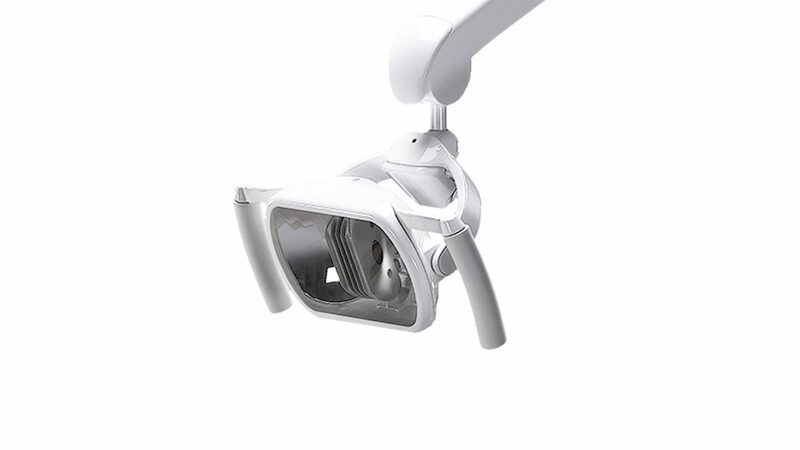 We offer three versions of the assistant’s element: adjustable height pantographic arm; standard pivoting arm with three-position holder; basic version with a single saliva ejector. 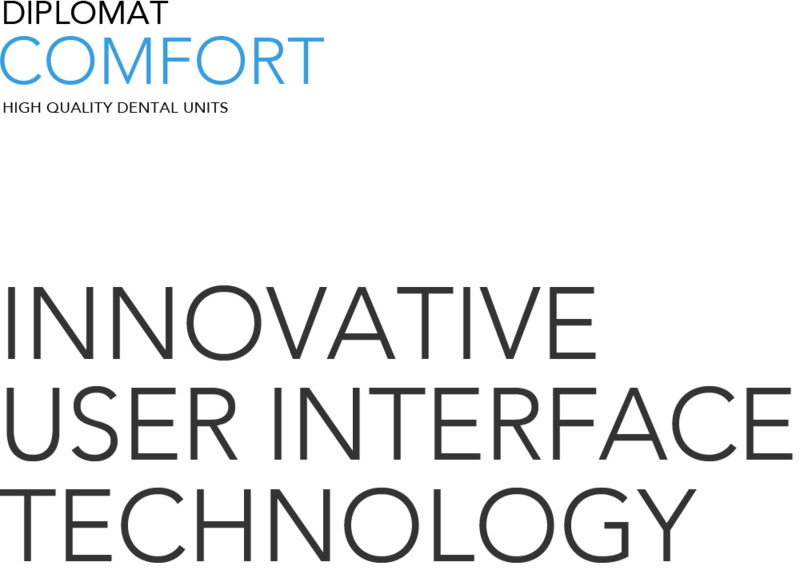 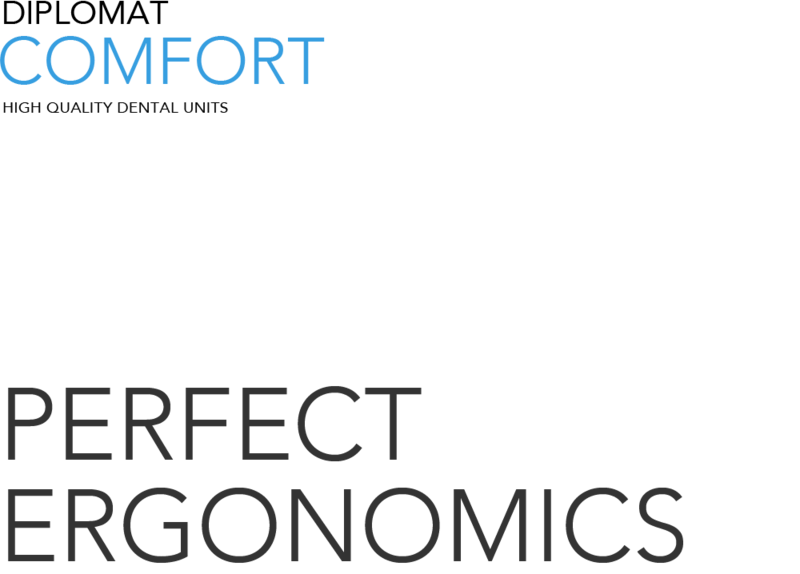 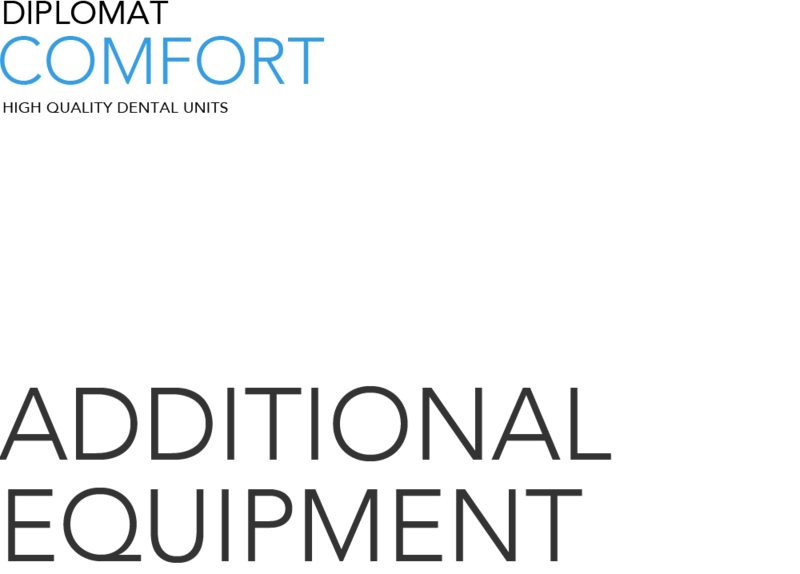 The tilting armrest on the right side and fixed armrest on the left side not only grant additional comfort to your patients, but also improve working comfort and ergonomics even during long treatment sessions. 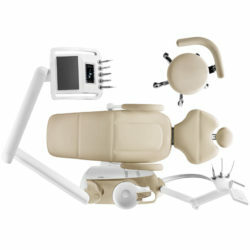 The monitor for medical use can be a part of the equipment on each DIPLOMAT dental unit.